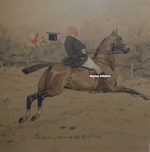 The Maud Earl prints for sale below represent a small selection of the many Dogs, Gun Dogs, Hound, Game Bird and Wildlife etchings and engravings available. If there is anything in particular by artist Maud Alice Earl that you are looking for, then please contact us on 07889 800857. 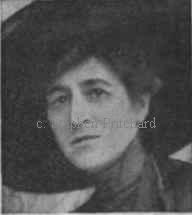 Maud Earl was the born in London, the daughter of artist George Earl and his first wife Alice Beaumont Rawlins. Maud’s profession was the continuation of a family tradition. Her father George, her uncle Thomas Earl and her half brother Percy Earl were also animal painters of note. George Earl, an avid sportsman and noted sporting painter, was his daughter’s first teacher and had his daughter study the anatomy of her subjects, drawing dog, horse and human skeletons to improve her skill. She later said that her father’s instruction had given her ability that set her apart from other dog painters. After her father’s tutelage Maud went on to study at Royal Female School of Art (later incorporated into the Central School of Art). Maud Earl exhibited around twelve works at the Royal Academy starting with a stag painting Early Morning in 1884. She also exhibited at the Royal Society of British Artists. In 1897 she had an exhibition in which she showed paintings of 48 different breeds of dog. Maud Alice Earl became famous during the Victorian Era, a time when women were not expected to make their living at painting. Nevertheless, she developed a select clientele, including Royals amongst her patrons such as Queen Victoria and Queen Alexandra. Although evidently extremely successful in England, Earl felt that the world she knew had been destroyed by World War I and she emigrated to New York City in 1916. By this time her work had received wide international recognition and her popular images were published in a number of books and in print form. 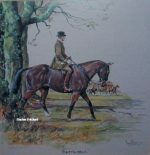 The Sportsman’s Year featured twelve of Earl’s works as engravings. Maud Earl died in New York in 1943.